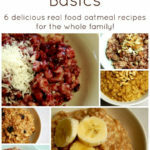 Soaked Oatmeal Basics :: Plus 6 Different Recipes! Alright gang. So this is the motherload of all things oatmeal. One of my life goals is to show people that boxed cereal isn’t the only simple, quick breakfast option! On Mondays I make a large pot of plain oatmeal that we use a few times per week for fast, nourishing breakfasts. I have it stored in the fridge in a large bowl with a lid. Scoop out a few cups of cooked oatmeal and add ins to a pot, warm through and breakfast is done with a side of eggs or bacon, and raw milk! It takes just a couple minutes to get the oats in a bowl to soak overnight and then cooks up within 10 minutes the next morning. SIMPLE. The soaking not only helps the oats cook faster, but it makes them digest easier! Bonus! And because oatmeal is on the menu 2-3 times per week here, I have come up with a variety of ways to change up the flavors to keep things fun. Give it a try this week and let me know which flavor your family likes best! 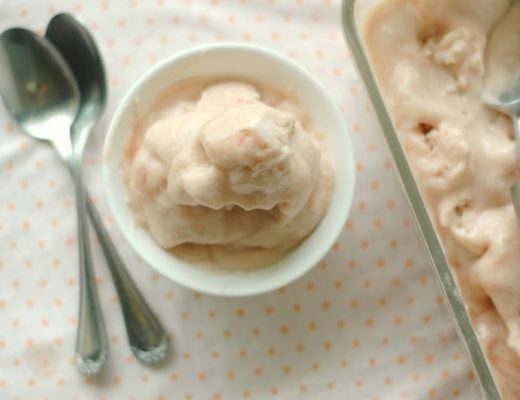 This is a "base" recipe that, once perfected, you can dress up with any flavor you can dream of! The night before you want to cook the oatmeal, combine the oats and lemon juice in a mixing bowl with enough water to cover the oats. Set under the light in your oven or warm spot in your kitchen over night. This soaking breaks down the phytic acid in the grain helping it digest better. The next morning pour the oat mixture into a large pot and add a few cups of water to cover the oats. Bring the oats to a bubble and simmer for about 5 minutes. 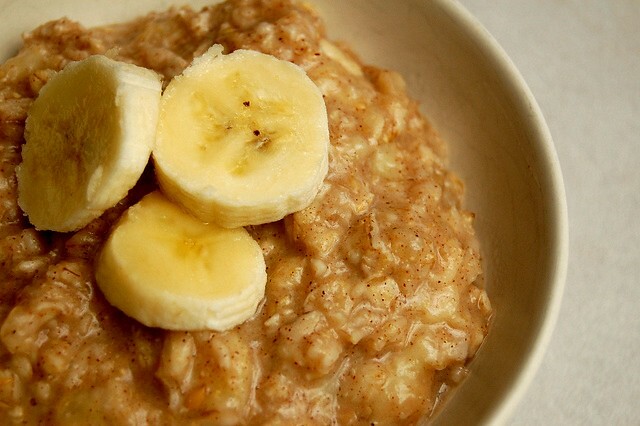 If you want thicker oatmeal you can simmer longer. At this point you can either add your favorite mix-ins or store plain in the fridge up to a week. 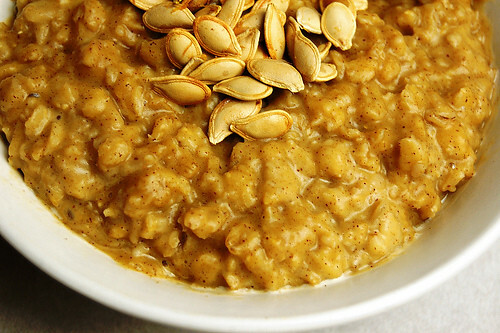 So now that you have made your base oatmeal for the week, let’s give it some fun! 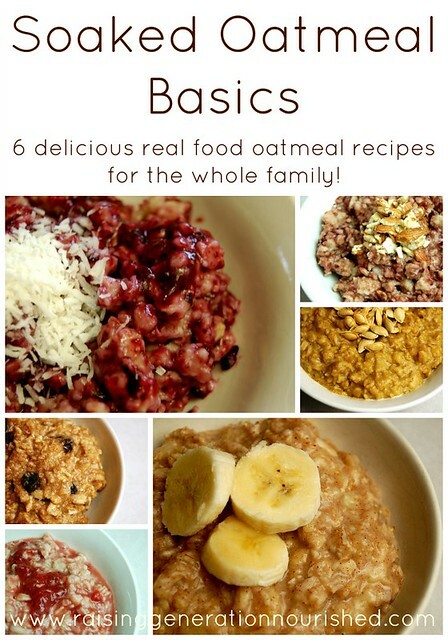 The amount in each recipe feeds my husband, girls, and I – about 4 cups of oatmeal. 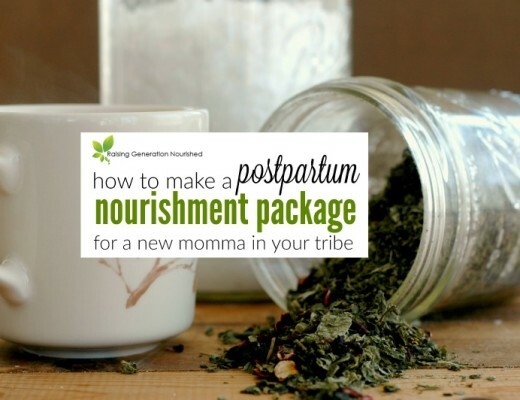 All you need to do is add the ingredients into a pot and warm through! FAST! 1 cup organic unsweetened applesauce (I use homemade from our fall apple picking and when that runs out I get it cheapest at our local grocer). OK! So keep me posted once you get started on how this process runs in your house on busy mornings! This post was shared at Allergy Free Wednesdays and Real Food Wednesdays! sorry but im a bit confused. you soak the 6 cups overnight then refrigerate. do you drain off the water or is it all absorbed? is this for one breakfast for all of you or is this what you use all week? how long will it keep in the fridge? cant wait to try some of the varieties..sound delicious. You soak the 6 cups overnight and then cook them off – the very first recipe (the one in the box) shows you how to cook them off – just dump the whole bowl of oats that have been soaking into a pot and add a little water to cover. 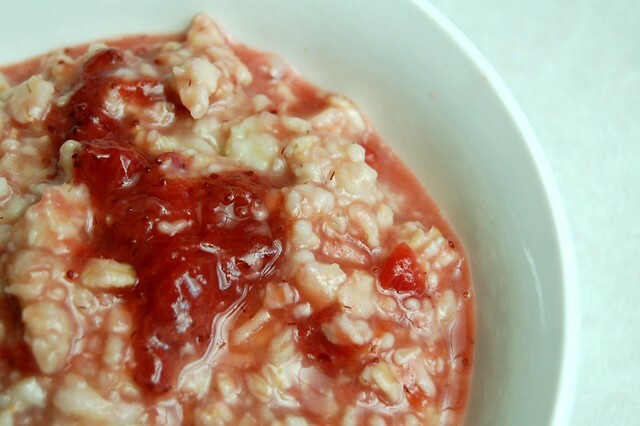 Bring it up to a bubble and simmer to the thickness you like your oatmeal. At that point you can store the plain oatmeal in the fridge and just scoop out what you need for breakfast and warm it on the stove with your add-ins! The 6 cups of oatmeal lasts my family most weeks about a week. We have oatmeal about 3-4 times per week. I would say don’t keep it in the fridge longer than a week although I’m sure mine has gone longer than that 😉 I hope that helps! I’m a bit confused too! So you soak overnite, then cook. But that plain is the base, but if you serve a few bowls, then the leftover 4 cups is then mixed with the flavor varieties & heated for one meal then refrigerated for the week? Or can you just scoop out a bowlful then add some flavor with add-ins and zap? I rarely if ever have time to warm up a pot during the week. Zapping works better. Hi Jessica! Any soaked or sprouted grain would work really – the water amounts would change – just cook the grain to your liking and add the flavor options! Quinoa works great too! 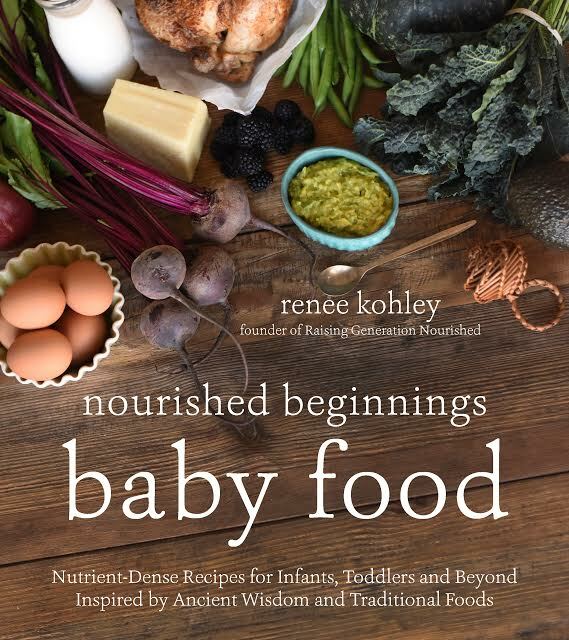 Your recipes are excellent, and so uniquely accessible to the home cook (no strange use once specialty ingredients) I have so many of your recipes printed out and stuffed into the pages of Nourishing Traditions, you should be listed as co-author of my copy. I hope you are working on assembling your own cookbook. Hi Emily 🙂 Thank you for your kind words – that is super humbling 🙂 Yes a book is in the works! It is pretty minimal – I don’t taste it! Old post, but I’m just finding your site, so I had a question for you. I’m in the habit of draining/rinsing oatmeal after soaking it overnight, but I noticed you didn’t put that step. I was under the impression that the phytic acid transferred into the soaking water, so you wanted to drain and rinse it away. Thoughts? Hi Amy! Rinsing is more for beans or sprouting grains and it’s mostly to wash them off and keep things from molding during the time they are sprouting. The phytic acid isn’t something that gets into the water – it is more broken down in the actual grain – like “digested” in a way if that makes more sense. Save yourself the step 🙂 I hope that helps! Anything that saves this momma time is helpful, so thank you for the clarification! Hey! Great post!! This is EXACTLY what I’ve been looking for so thank you! 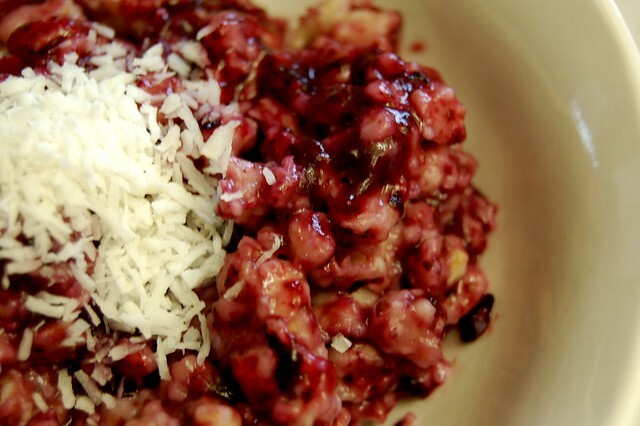 Could I follow your exact recipes with Steel Cut Oats? Hi Linda! 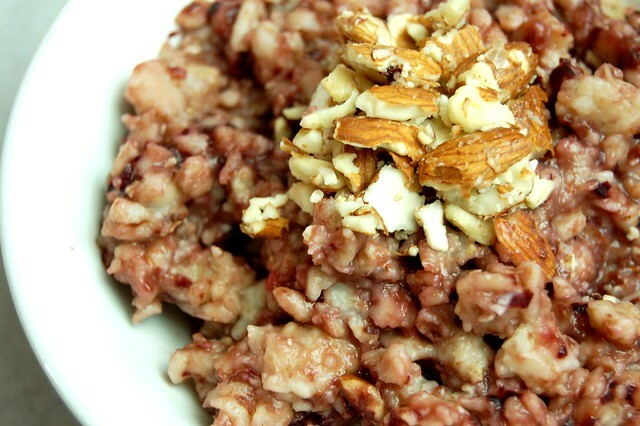 Steel cut oats will have a different cook time – a bit longer – but not sure by how much. Everything else should be the same though! 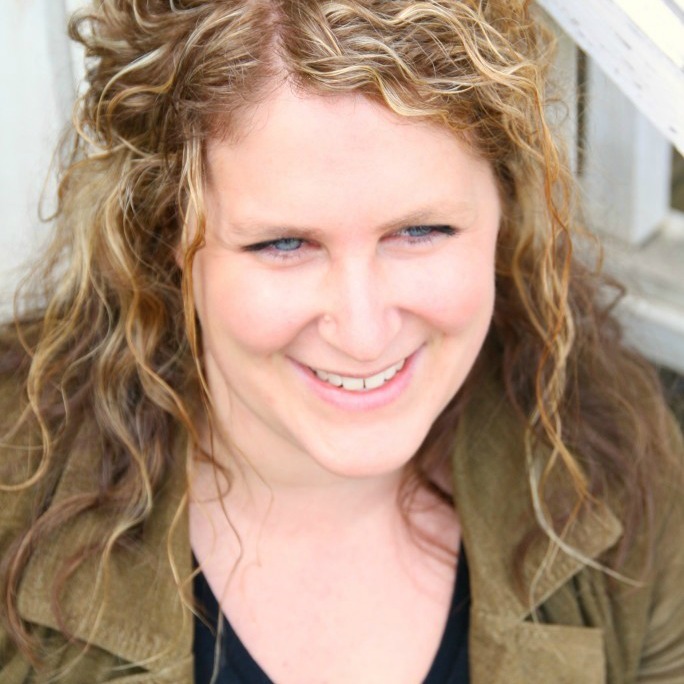 Hi Janette! 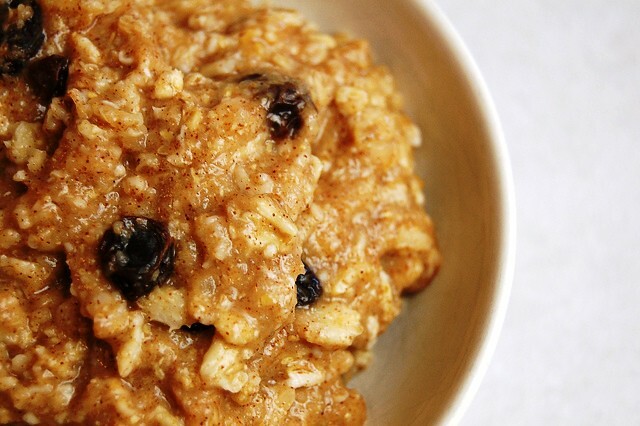 Quick oats are just more processed – use them if you have them though! Love all these ideas! I have been making overnight oats for years but always same.. and not very exciting compared to these versions!! THANKS! !